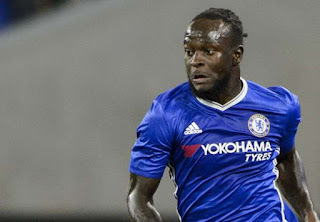 Super Eagles forward, Victor Moses, says he is not disappointed to be left out of the final three-man shortlist for the 2017 African Footballer of the Year award. The winger won the Premier League title with Chelsea last season under Antonio Conte. Moses also played major role as Nigeria became the first African country to qualify for the 2018 FIFA World Cup in Russia. He was among the initial 10-man shortlist for the award, but was shockingly left out of the final three-man list by CAF. Saido Mane, Pierre- Emerick Aubameyang, and Egypt’s Mohammed Salah made the final three men for this year’s award. Despite a little setback due to injury, Moses claimed he has enjoyed his time at the club this year. “It’s been a great year for me. I’ve really enjoyed it, but want to keep it going”, he added.